Country: Please enter your country of residence. Telephone (please include country code): Telephone is requiered. Name on Card : Name on Card is required. Card Numer : Card Number is required. Use spaces to separate the numbers if necessary. 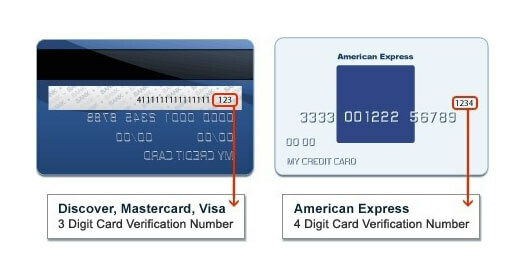 CVV number: CVV number is required. Please fill all the fields above to continue. Tours after 1st July 2019 may be subject to a new government tax. 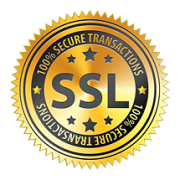 Your credit card information is protected by our data Encrypted Security System and from third parties. Desafío Adventure Company reserves the right to cancel any trip due to unsafe conditions and will only run a tour according to established company policies. Full refund is given if (on rare occasion) no tour is run. For reasons beyond our control (climate, river levels, etc. ), we may change to a more-suitable tour with an equal or similar difficulty rating and adventure-appeal with no refund. Our Head Guide makes the final decision. Recommended ages for tours operated by Desafio: Rio Toro, Rio Sarapiqui and Rio Tenorio class 3-4: 13-55; Rio Balsa and Rio Sarapiqui lower section class 2-3, & Venado Caves: 10-65; Canyoneering in the Lost Canyon & Cerro Chato: 13-55; Stand Up Paddling, Safari Float & nature walks (Arenal Volcano, Hanging Bridges, Río Celeste, Nature Combo 6x1): 6-66 ; Horseback riding: 8-55; Community, Culture & Conservation or Proyecto Asís & Luna Nueva: no age limit (under 5 free.) For those outside of the age recommendations or if there is an adult accompanying a child, we ask that clients request & sign a special Waiver for such cases. Most tours require 2 pax minimum. The maximum weight limit for whitewater rafting, canyoneering and horseback riding is 200 lbs. We may also cancel any client seen unfit to do a tour for their own safety and/or the safety of clients and guides. Clients must not be under the influence of drugs or alcohol. Do not take valuables on our tours such as jewelry, money, cameras or passports. Desafío Adventure Company and its affiliates are not responsible for lost, broken or stolen items. We have a lost & found box for our tours & services and donate items after 2 weeks left behind. Cancellations for day tours must be made no later than 48 hours prior to the service. For package tours cancelled less than 6 weeks in advance, we cannot give a full refund because many hotels and other tour operators do not allow for short-notice cancellations (see policy below.). No refunds for no shows. IMPORTANT: Any cancellation by a client must be made in writing and acknowledged by Desafio Adventure Company in writing. The date on which the request to cancel is received by us will determine the cancellation charge applicable. Click on the button below to be redirected to our home page.